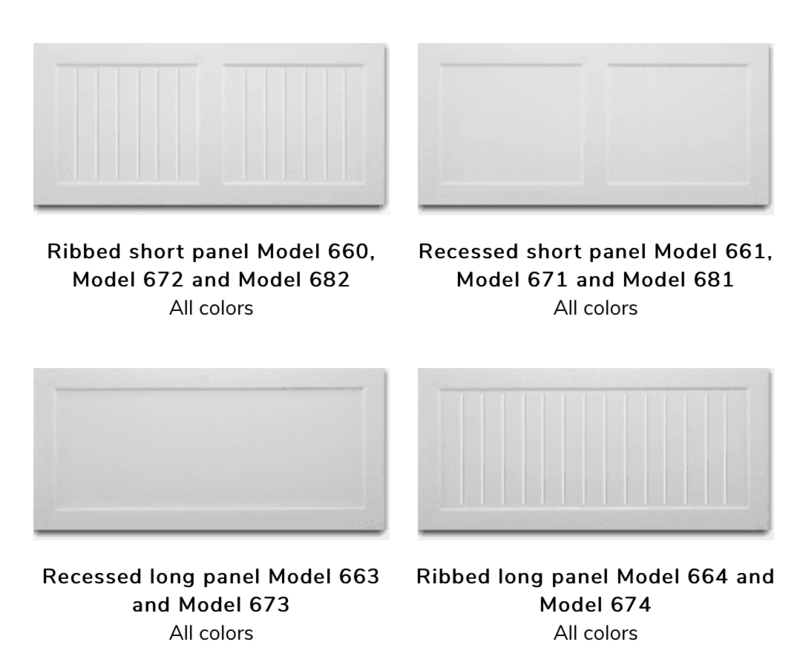 The Standard Carriage House Doors are also constructed from galvanized steel and engineered for energy efficiency but feature beadboard stamps in recessed panels for a cost-effective carriage house look. The embossed steel is factory pre-finished, painted on both the exterior and interior with epoxy primer and then covered with a durable polyester finish coat. 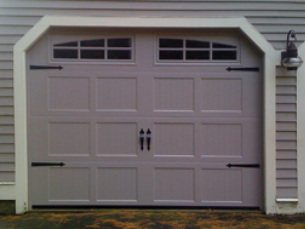 You can keep the door plain or we can add decorative handles and hinges to the outside as in the picture to the right.